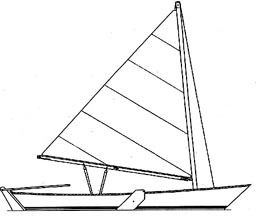 This traditional type Dory seats 3 comfortably and can be sailed or rowed. The plans offer alternate constructions for glued lap construction, or cold-molded veneer. Ideal also for wood/epoxy system. The drawings are meticulously detailed and include full-size patterns for the molds, materials list and building procedure.